After successfully building the world’s fastest street-legal supercar - the Maxximus G-Force - back in 2009, partners Marlon Kirby and David McMahan are back in action. However, this time, they have gone very green with the new Maxximus LNG 2000. Not many details have been released for the LNG 2000 as of yet, but we do know that it is breaking the walls set up by petrol engines by running on compressed natural gas and liquid natural gas. That’s right supercar owners; no more getting ripped off at the pump! We still don’t know what kind of performance it will provide, but it is being pegged as the second generation G-Force which clobbered the 0-60mph sprint in 2.1 seconds. The G-Force was by no means green, though. It was powered by a 1,600-horsepower, 7.0-liter engine sourced from Chevrolet which boasted if additional performance times of 0-100 mph in 4.5 seconds and 0-100-0 mph in 8.8 seconds. Development for the LNG 2000 is still ongoing, but the company was kind enough to reveal the first image of the "green" vehicle for us to ogle. They are also currently working on another model model - dubbed the Prodigy - which will come with 2,000 horsepower and a $1,000,000 price tag. Considering the G-Force costs $3,000,000, the Prodigy will actually be a steal! No pricing information for the LNG 2000 has been revealed as of yet. Stay tuned! We’ll be following this development of the LNG 2000 closely! 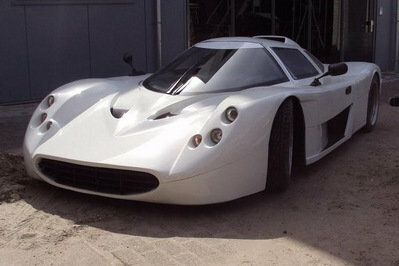 UPDATE 02/13/12: Despite not knowing comprehensive information about the Maxximus LNG 2000, we do know enough to conclude that this is one insane supercar that packs an ungodly 1,600 horsepower. Recently, the folks over at Maxximus Technologies took the LNG 2000 out to stretch its legs and in fairness to the insane expectations set out on this supercar, it performed incredibly well in the drag strip, hitting 0-60 mph in just 1.9 seconds! Check out the video by clicking on the photo above. It literally and figuratively is green. That’s awesome, we need more cars like this, the performance isn’t affected by natural factors at all. It’s kind of pricey though. Wow, I was totally surprised with the update of this LNG 2000. 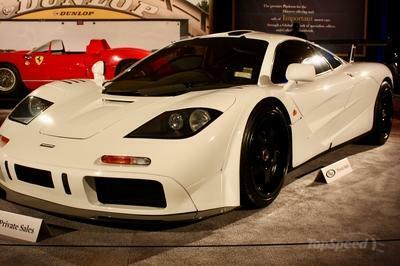 It has an outburst of 1,200hp and a sprint of 1.9 seconds, that was very shocking. Maybe the final price would end up more than $4,000,000. I am not fascinated with the wheels. It looks like it was made up of aluminum steel. The performance was undeniably stunning. The sprint of 1.9 seconds was the fastest for me. This could be the supercar that I’ve appreciated the most because of its sophisticated looks and the futuristic style of it. I’ll ensure that this will be on my list. This car is unique and has a powerful performance. I think it would be better if few changes from body paint will enhance for more appearances of this sports car. Strong features, this is what I’m looking for in a race car. The contours are perfect and the green paint is so cool. 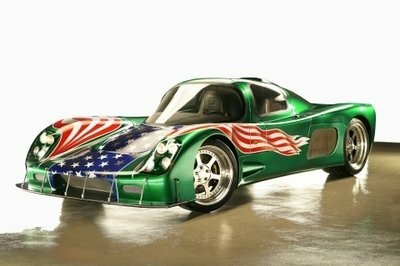 I think the flag is unnecessary, maybe some racing stripes instead. People may agree, this is not the most ideal concept for super car the striking color don’t even complements to the car. Though lets give still the credit for this car. Well, most of us still don’t know the power it offers. I think the acceleration of the car is quite weak. I hope they can fix that thing. By the way, I want to know what are the other features and packages of the car why it became that expensive. I can say that the car looks cool. The color is unique and has a powerful performance. Although it is a pricey one, I’m pretty sure that wealthy folks can still afford this one if they really want to. This one looks gorgeous. I’ve been looking for such kind of extraordinary features so that I can able to feature it on my website for top supercars in 2013. Oh this green supercar looks so promising that it will able to uplift the standards of Maxximus. 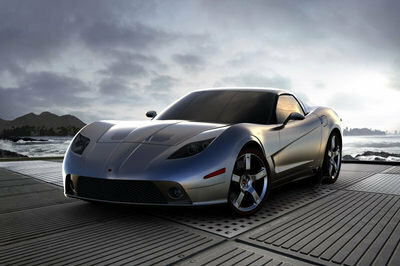 Though a little bit expensive, I know that this one will become the toughest and hottest supercar for 2013. OK, so this car is indeed pretty promising, but I doubt that it would actually herald in a new generation of LNG powered cars. They are actually still way off for that, since the tech needs to be refined more. Well, if they are able to pull this one off, that would certainly be a good start. They would actually jumpstart the shift into alternative fuels for sports cars. Well, it is good to see or to know that this car uses an eco-friendly gas. We are all not sure about its performance but I’m definitely hooked by this car. Well, I have already seen several cars that are running on LNG, and they were able to perform quite well. But as far as high performance cars, I am really not all that sure with this one. I’m quite distracted on the color of the car, it’s like a veggies for me. haha!!.. However, if the engines will work well, maybe i will try to drive a car like this. Hope the next LNG 2000, will have a very impressive design not like this one! Its so fantastic hearing a car aiming to reached for almost 1000 hp unlike their previous target which around 400 or 500+ hp. And it would be a plus factor to know that they are offers various engine option on this car! I hope to read updates for this car! Hmm, I wonder how they would actually pull this one off. But it does look interesting, considering that LNG is thought to have less output than standard petrol.